Posted at Daily Paul, Reddit and StumbleUpon. And if you would like to post this elsewhere, please just link to this URL, as I update my articles rather frequently. Thanks! Fred Phelps is dead. And he won’t be having a funeral. I have nothing good to say about Westboro Baptist Church. They are hateful, gratuitous, unfeeling and an overall horrible representation of Christianity. They just may be the single most hated organization in America. One would hope that Phelps’ demise means we will never hear from them again. However, no one takes them seriously. They have zero influence outside their small community of maybe 100 members. 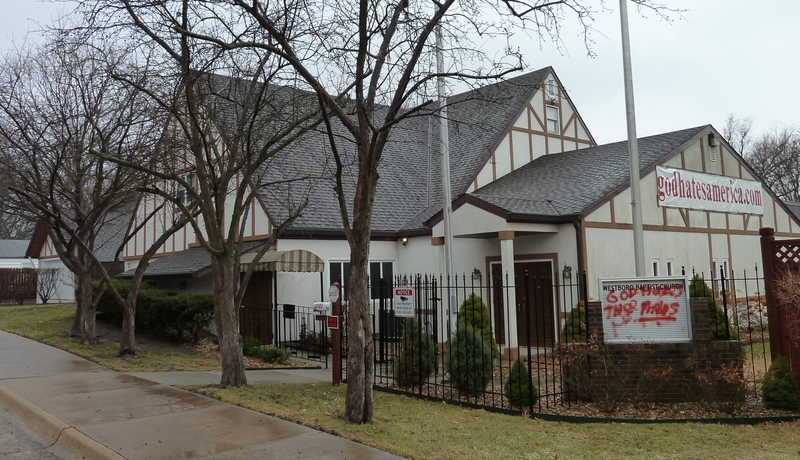 And for this reason they cannot be considered the worst church in America. Just exactly what church might qualify for this dubious honor, I do not know. Perhaps it is the First Baptist Church in Fort Lauderdale. 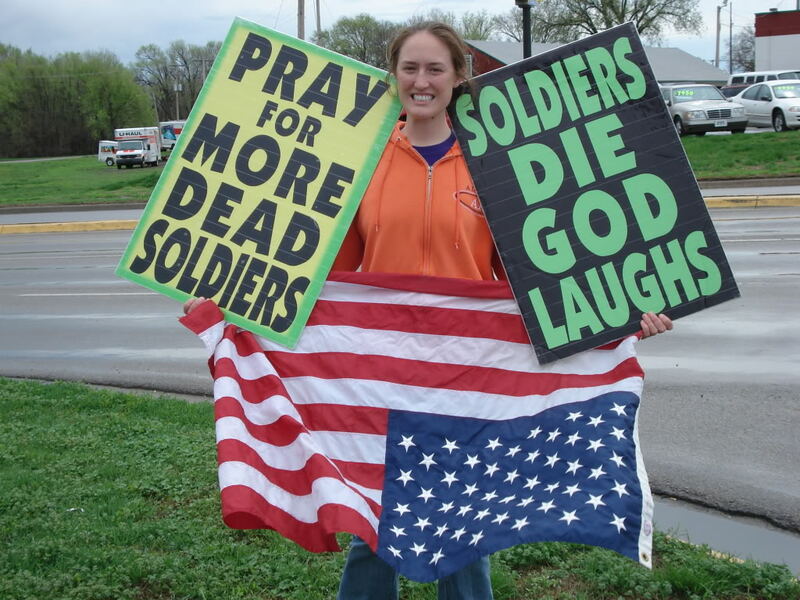 The fallout from Westboro Baptist was a lot of absolutely unnecessary emotional hurt. There is simply nothing good or Christian about this. The fallout from the wars that so many evangelical Christians so mindlessly glorify includes, among other things: mutilated bodies and minds, widespread killing and dying, mass devastation, torture, spying, suspension of civil liberties, drafts, internment camps, and excruciating taxation and ruinous debt. And then there is the nuclear fallout about which so many Christians are oh so nonchalant. War is a horrible, horrible thing. It is bad enough that America cannot stay out of it. It is even worse that the biggest constituency for war can be found among people who claim to worship a Guy who said “Blessed are the peacemakers.” – Matthew 5:9. 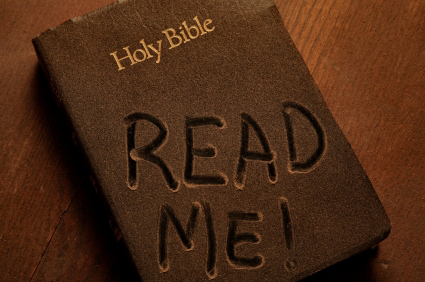 In the 28 years that I have been a Christian, I have noticed a pronounced decline in how many Christians actually read their Bible on a regular basis. If they actually read it, they would find zero basis for supporting America’s current wars. They totally confuse contemporary America with ancient Israel. America is not ancient Israel, the United States military is not a divine institution and the American president – no matter who holds the office – is not God. God’s support for ancient Israel was conditional on her obedience – Deuteronomy 28. Because of sin and rebellion, God would ultimately allow Israel to be overrun by numerous hostile empires. If God did not unconditionally support Israel, what makes anyone think He would unconditionally support a nation whose name does not even appear in the Bible? When Jesus said “Go ye therefore, and teach all nations, baptizing them in the name of the Father, and of the Son, and of the Holy Ghost:” – Matthew 28:19 – I don’t think He meant for America to bomb the crap out of countries that haven’t done anything to us and kill thousands of innocent people. When the Bible says, “If it be possible, as much as lieth in you, live peaceably with all men” – Romans 12:18 – it does not mean that every time some guy with some name that you are too dirt lazy to learn to pronounce in some country that you cannot find on a map passes gas the wrong way, that Christians should demand another war! Jesus preached peace, love and forgiveness. To hear it from the Evangelical Right nowadays, you would think He was a god of war, conquest and empire. To be sure, Jesus preached armed self-defense – Luke 11:21, 22 and 22:36. However, He never instructed His followers to initiate force for political or any other ends. When Satan himself offered Jesus “all the kingdoms of the world”, Jesus rejected the offer – Matthew 4:8-10. How, then, can a “Christian nation” be any sort of “superpower”? Before God, all nations are “as nothing” and “less than nothing” – Isaiah 40:15-17. There is no biblical basis for America or any other modern nation having God’s favor, much less being “exceptional”. 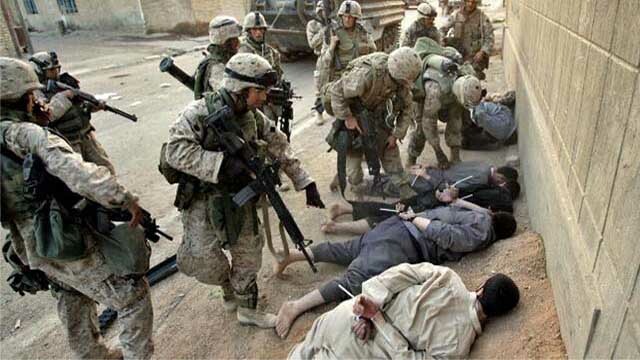 If 19 Americans committed some horrific crime overseas, would that justify an endless war against America and the mass killing of Americans? If Uncle Sam secretly harbored a terrorist mastermind in some cave in Idaho, would that justify an endless war against America and the mass killing of Americans? “The exceptional, indispensable, arrogant, self-righteous United States government does not need to ask anyone. Washington speaks not merely for itself. Washington represents the country chosen by history (and the neoconservatives) to speak not merely for itself, but for the entire world. Oh, now, THIS is spreading the Gospel. Westboro has done myriad despicable things and funerals, but they never bombed one. Let me add this: If you speak one critical word about the U.S. military, then you hate America and you hate God too! This is just as unintellectual as saying that if you disagree with Obama, you are a racist. This, tragically, summarizes the worldview of far too many evangelical churchians. I don’t say “Christians” because there is nothing Christlike about this. It ought to be viewed with the same level of contempt as the antics of Westboro Baptist. It in no way advances the Cause of Christ. And please don’t lecture me about “supporting the troops”. I totally support them. I want to end these wars now and bring them all home now. You don’t support the troops by keeping them in perpetual wars that have nothing to do with national defense. In a constitutional world, militaries serve a most valuable purpose: defending the borders, shores and airspace of a nation. Like any segment of the government, they must be kept on a very short leash. When you view the military as some sort of divine institution, and when you turn a blind eye to its excesses, you invite domestic tyranny. Throughout history militaries have been instruments of domestic tyranny. 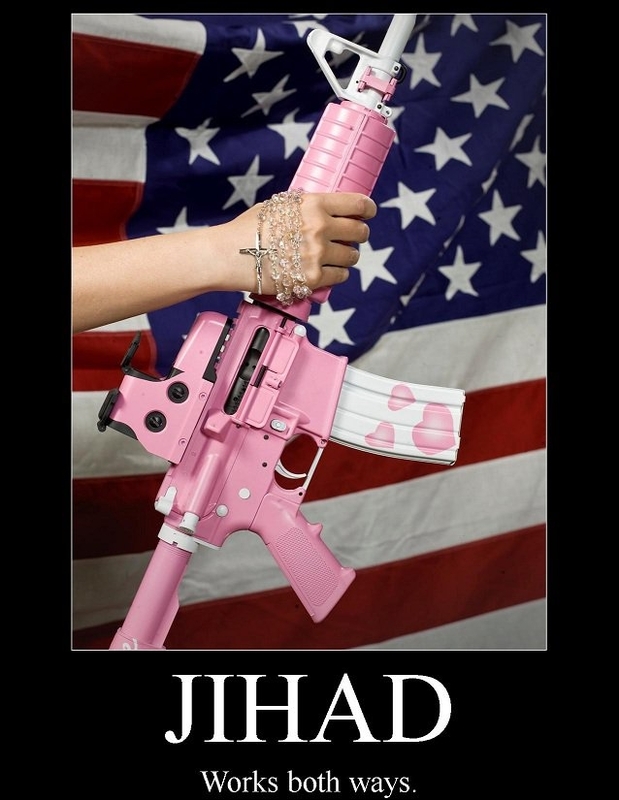 This is why the Founders warned against them. Jesus was nailed to the Cross by Roman soldiers. It was British soldiers who harassed the colonists to the point of provoking the Revolution. 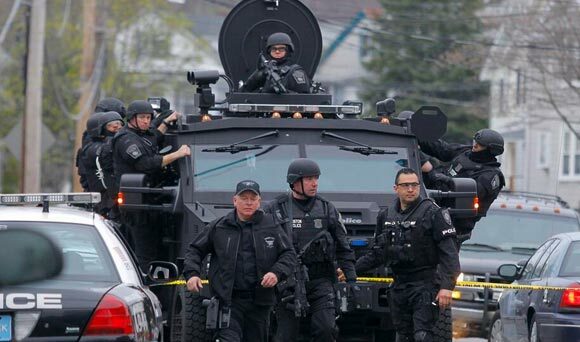 Should gun confiscation be attempted in America, Obama will not be the one at your door. It will be a cop or a soldier. Cops in America used to be a minor annoyance. Now they are an occupying Army. And, just like the military, their biggest cheerleaders can be found in churches. How many pastors are speaking up against the onslaught of police brutality we are seeing on the streets of America? Is this how Jesus would have us act? Is this the fruit of the Holy Spirit? Does any of this spread the Gospel? Does any of this honor our True King? Jesus preached the Sermon on the Mount not at some Taj Mahal of a megachurch, but to common simple people in a forgotten backwater of the Roman Empire. He taught us not to rule from the top down, but to serve from the bottom up – Luke 22:24-28. He taught us to influence the world with the Great Commission – Matthew 28:18-20. For the first few centuries of its existence, Christianity was an outlaw religion and Christians were ruthlessly persecuted. How anyone reads the New Testament as a license for war, conquest, imperialism and mass bloodshed absolutely escapes me. I used to be a rabid warmonger and militarist myself, even after I became a Christian. And then I realized, over time, that my views were in no way supported by the Bible. 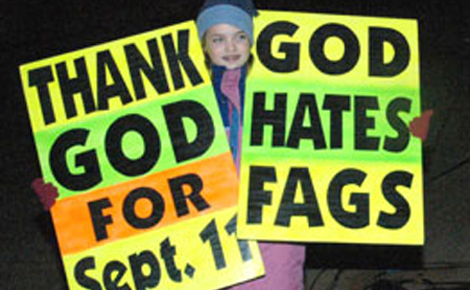 It is easy to condemn Fred Phelps and Westboro Baptist. It is much harder to acknowledge the real-world implications of the wars that so many influential churches glorify. Please take some time to read this article and this article by Chuck Baldwin. Also, here are my thoughts on American troops and PTSD. And if you want a real kick in the teeth, read Laurence Vance’s articles at LewRockwell.com. Sure enough, Westboro didn’t miss a beat. 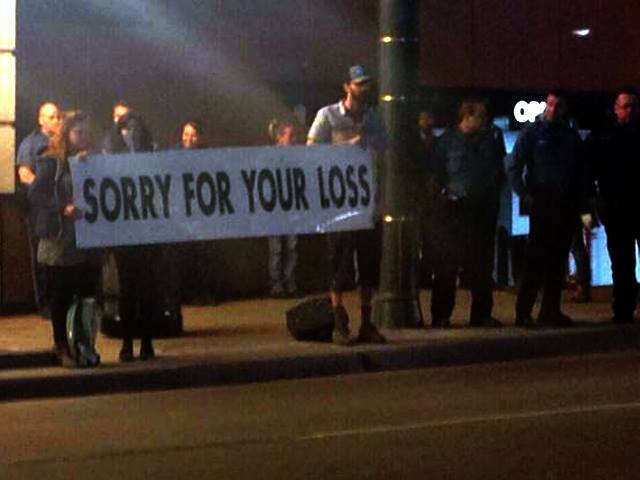 On Friday evening, 20 members protested outside the Lorde concert in Kansas City. The most notable aspect of the whole event were counter protesters who held up this sign. This entry was posted in Uncategorized and tagged Bible, Christianity, fred phelps, Jesus, militarism, war, westboro. Bookmark the permalink. Just post the URL for the article. Thanks! Doug, this is why we need history to be taught, not statist agitprop: in the 50s and 60s, cops were just as militaristic as they are today, albeit not as well armed, and they committed countless atrocities against the perceived enemies of the State. The civil rights marchers were attacked in the streets by mounted cop goons wielding cattle prods and weighted nightclubs. The peace demonstrators were assaulted in like manner. The Democratic Party’s convention in Chicago in ’68 was the scene of Chicago Pig Department and Nazional Guard assaults on peaceful protestors in Lincoln and Grant Parks, while “the whole world is watching.” The Nazional Guard murdered students at Kent State and Jackson State colleges. Hippie “love-ins” were attacked by police for the sheer “fun” of it, and everywhere longhairs, blacks and chicanos were randomly assaulted by cop gangsters. I personally witnessed a gang of the LAPD murdering a man for a minor traffic violation in Long Beach, California, in 1968. I could make a very long list, but all you have to do is make a simple search online to find enough reading to keep you busy for a year. And where were the “Christian” [sic] American churches then? Cheering the minions of fascism on from their flag bedecked pulpits; encouraging them to continue to assault innocent people. This has all been done before. And there is no such thing as an “American Christian” because no man can serve two masters. Look at the audience eating it up with a fork. Those are the poor, pathetic bourgeois – they live for the future and fall for every scam coming down the pike. Look, we’ve pretty much paved the way for Israel to take control of most of the ME… and even though Assad wasn’t toppled, his nation lies in ruins. The final piece of the puzzle will fall into place after millions of (mostly White) Christians are killed off during WW3 which is beginning now in the Ukraine. This writer is just pure ignorant. Harley, let’s start with your sentence, if that’s what you would like to call it, and then move on to the ‘evidence’ you bring to the table. But wait, you didn’t even type a complete and rational sentence AND you didn’t bring anything to the table. So who exactly is the ‘ignorant’ one? Just look at how many “new-agers” and “neo-pagans” are also supporting the destruction of these united states of America. Gee! Seems most of the membership in most of the established religions have been “horn-swaggled” into supporting some of the most egregious and heinous acts. Thank God (or Goddess) for those free-thinkers who decided to step away from the false “church”, whether the recognized, or the “new-age”. Thank you for a very ballsy, to-the-point article! We will NEVER see peace, until we all actually practice peace. I am not so sure a lot of American Christians actually want peace. So many have been so dumbed down and brain raped by war propaganda coming from, of all places, churches. Thanks for your comments. The only just war, IMHO, is the one to protect your own backyard. Awesome article, learned a ton! Thank you.